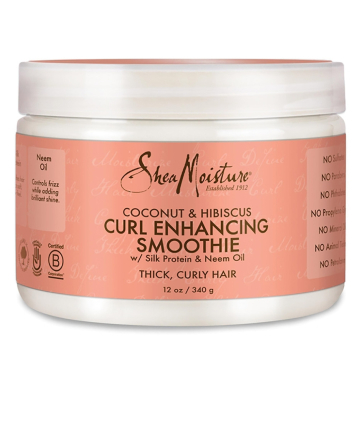 Shea Moisture Coconut & Hibiscus Curl Enhancing Smoothie, $13.50 Lin says he discovered this product while doing an outdoor summer photoshoot in ridiculously high humidity. Talk about a make it work moment. "I walked into a drugstore to see what kind of options they had, and I found a few. This worked the best. It smells amazing and has great frizz control," he says. "I highly suggest mixing with just a touch of warm water and then apply from the bottom of your hair, moving upwards. Never apply directly from the top. You'll find this product to be very sticky, but it gets the job done!"